ACE offers varieties of coil winding machines and components that simplify and expedite coil winding processes. All the products we offer are unmatched in performance, and unrivaled in durability. Our range of transformer adjustable winding fixtures is the result of smart design and brilliant engineering. Available in model no. 18, the winding fixture is exclusively designed to quickly release your coils, helping resetting the machine for the next winding operation. This transformer adjustable winding machine features sturdy construction. Manufactured using quality tested steel procured from reliable vendors, the machine is lauded for its years of outstanding performance. The machine is designed with several superior features, making it a reliable choice for supporting heavy duty coil winding operations. Four large machined steel corner angles. The main purpose of the corner angles is to provide rigid support to the coils. Three 1/4ʺ thick steel set-up plates. These steel plates, which are mounted on the center post, are supplied to provide comprehensive support to the four steel corner angles. The steel plates are equally placed to prevent any inward deflection that may affect the performance of corner angles. A support post with 1-1/4” diameter. The support post extends the entire length of this winding fixture. 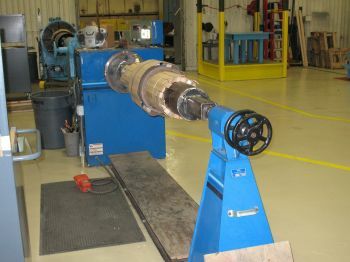 To achieve outboard support, a tailstock can be incorporated with the post. ACE transformer adjustable winding fixture is designed to be pivot mounted on the faceplate of a winding machine. An operator can mount the unit on the study base of the faceplate easily and securely. It is then locked into the winding position by means of a quick release pin. The machine is versatile and extremely easy to work with. There are no complicated parts, assuring trouble-free operation. The unit helps setting coil winding sizes to precise coil dimensions by means of pre-sized steel set-up plates. By changing these steel set-up plates, coil size changeover can be reduced to a few minutes. This winding fixture differs from other similar products due to the addition of a quick release pneumatic system. The coils can be easily removed from the machine by energizing the pneumatic system. Energizing the pneumatic valve results in reducing the size of the fixture considerably. This helps in releasing the coils within seconds. After removing the coil, you can de-energize the pneumatic valve, so that the fixture comes back to its original size to wind the next coil. Model no.18 can duplicate coils in consistent dimensions. 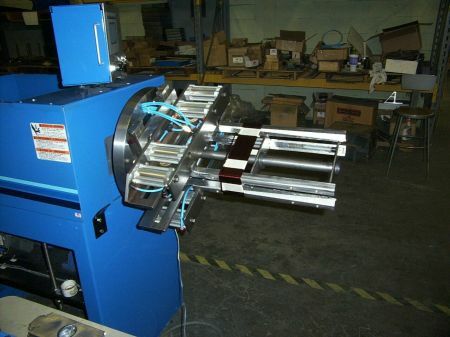 The duplication is done by utilizing its unique coil removable system. This helps save time and money, whilst maintaining consistency. The capacity of the unit to duplicate coils eliminates fixture tear down and also reduces the time spent on coil removal. This transformer adjustable winding fixture is compatible with round wires, multiple conductors, foils, and strips. The machine ensures correct positioning of wires, whilst applying the right amount of tension. The machine is an innovative and useful component that can be used with other coil winding machineries. It reduces human labor and increases productivity substantially.